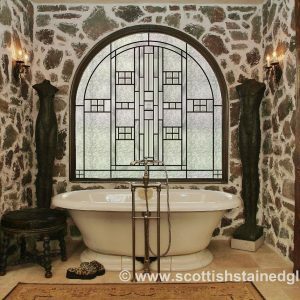 Bathrooms are one of the most popular choices when it comes to installing stained glass. The benefits of stained glass offer a wide range of functional and aesthetic advantages that any homeowner can enjoy. From beautiful, large masterpieces that transform your bathroom into an oasis to delicate additions to your glass shower door, anything is possible! Window coverings can be susceptible to mildew while lending an undesirable look. They also need to be adjusted throughout the day and require sacrificing sunlight for privacy. 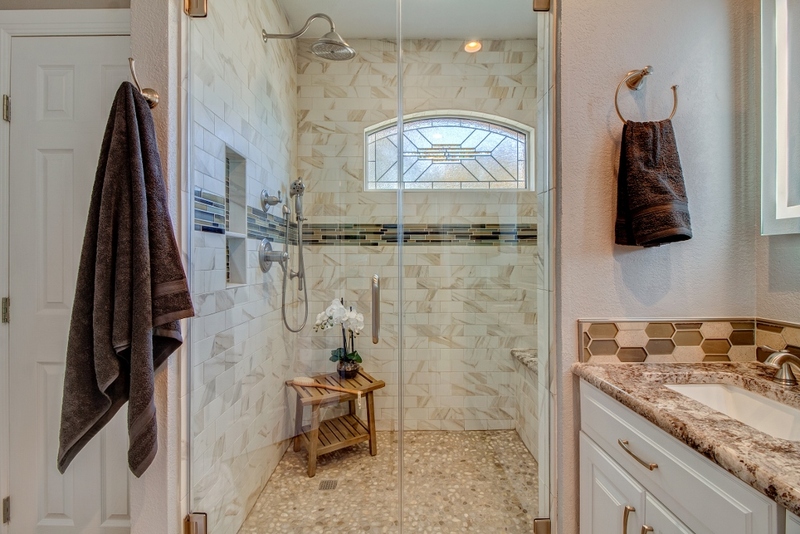 Stained glass is the perfect addition to bathrooms due to its inherent privacy benefits. Leaded glass and colorful, traditional stained glass can both obstruct unwanted views without compromising natural sunlight. Stained glass offers elegance and beauty, in addition to the opportunity to improve curb appeal and increase your property’s value. For those looking to control or limit natural light, some colored stained glass options can provide that effect. By building your own stained glass creation, you can create the one-of-a-kind masterpiece of your dreams! Transform your bathroom into the most relaxing, timeless room in your home. Stained glass is popularly added to enhance bathtubs, but is also a wonderful addition to other parts of your bathroom. Perfect for shower doors, bathroom dividers, vanity cabinets, and any glass displays you may have. Our custom builder application lets you design your stained glass window from scratch. All of our designs are showcased through this builder– however, if you don’t see a design element that you like, please don’t hesitate to call us! One of our stained glass artisans would love to work directly with you in design creation. 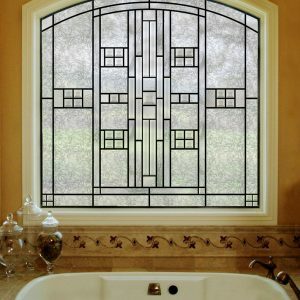 For more information regarding custom stained glass for your bathroom, please contact us!